These all cotton bonnets are prefect anytime from a nice warm day in the garden to a sunny day by the Oceanside. 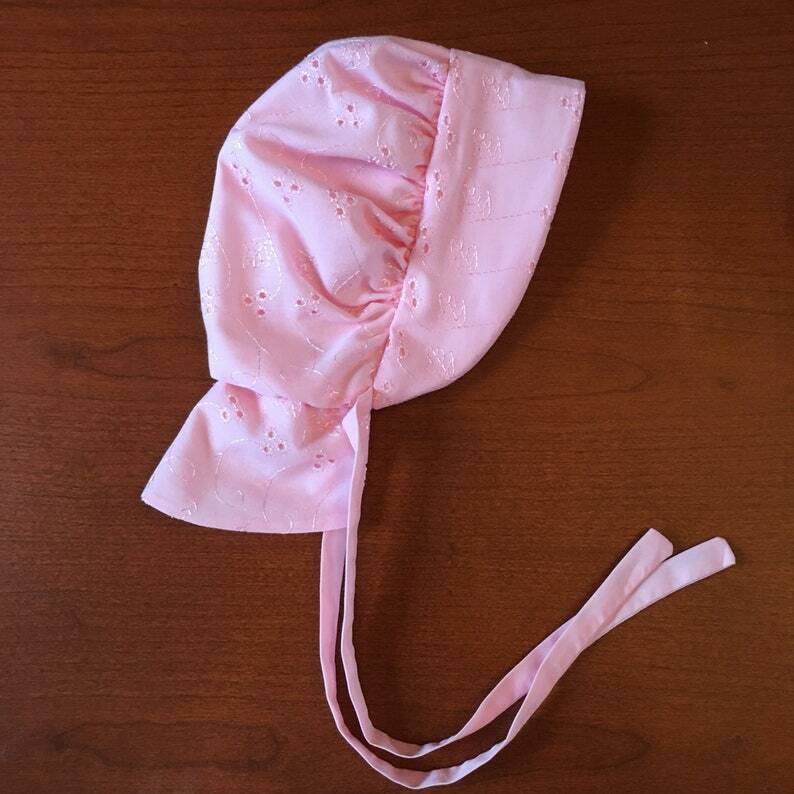 Bonnets are made in a solid inside cotton fabric color of your choice and on the outside a corresponding eyelet cotton material. Can be made with or without the sunshade. *After you place your order, I will double check your color choice that you have made, along with the size that you have selected. 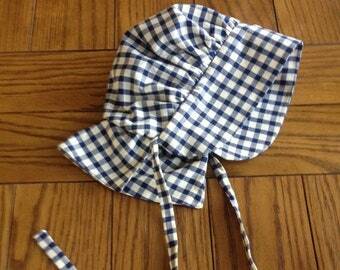 I will then ship your bonnet to you in 3 to 5 business days! 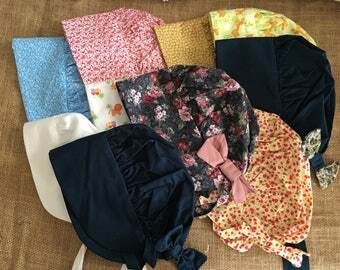 Bonnets can also be lined with soft cotton flannel just let me know!! 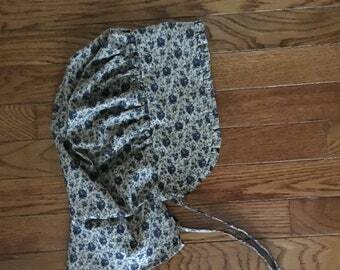 Sizes-I try to customize each bonnet to the receiver it helps me if I have a age and/or clothing size. 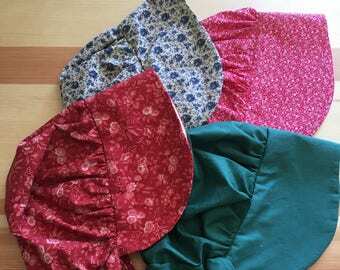 The fabric for these bonnets have been pre-washed in natural detergent. Your bonnet can be washed on all cycles and is dryer safe!! 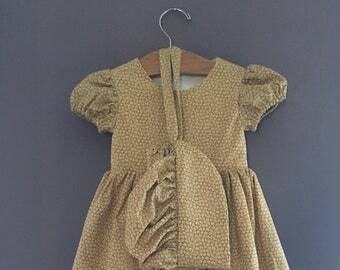 Came just in time for Easter and will look so sweet with her dress! 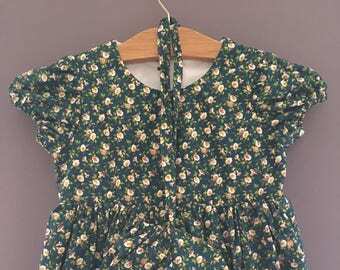 (My baby dress!) Beautiful swatches so hard to choose from. Fit is perfect with a little room to grow. It will be a keepsake for her! Thank you!